Grand Junction based-athlete and Crested Butte Adaptive Sports Center participant, Chris Jefferson, successfully crossed the Slush Huck Pond Skim on a monoski last Saturday in front of an ecstatic crowd. The biggest cheers of the afternoon came for Jefferson, a paratrooper veteran. Left is a composite photograph and below is his POV of the skim. Hell yeah from the West Elk Project crew Chris, way to give ‘er! While they had official winners, Jefferson was the biggest winner in our hearts. No matter what happens, you can still have as much fun as possible. Props! That is the best. Nice job. 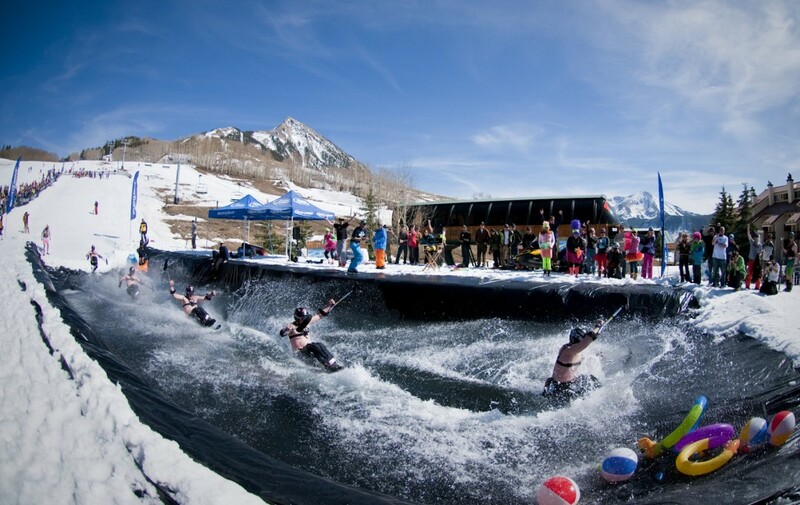 I was planning on trying this in Sun Valley this year, but I found out I missed the sign ups. Maybe next year. This is so awesome! Jefferson is the man! True hero!